Do you ever hear a song and think it must have been written for me? A song that reaches deep down into your heart and puts your feelings into words more beautifully than you ever could. A song that starts to shine a light on a new perspective on how you see yourself and your life. One that empowers you to love yourself despite the fact that you sometimes you feel broken, misunderstood, and shunned by the world. For me, that song is “This Is Me” from the movie The Greatest Showman. 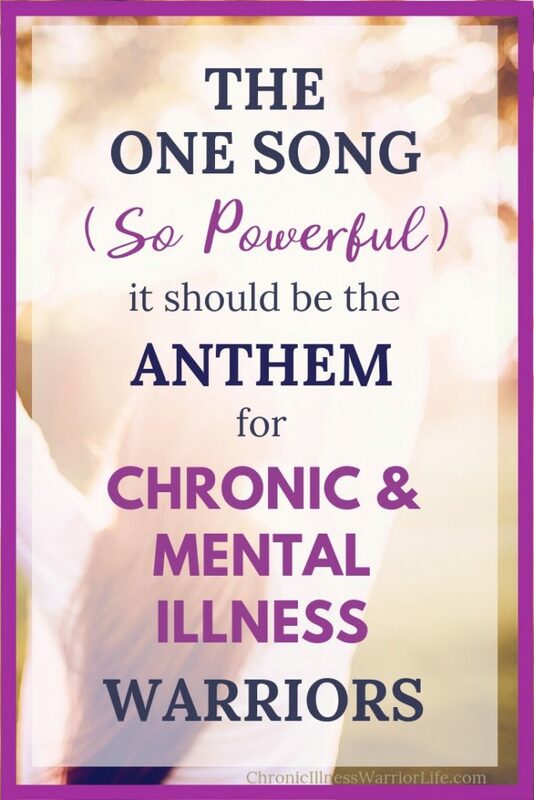 You see I live with both chronic and mental illness (I believe all mental illness falls under the chronic illness umbrella.) I have adopted this song as my anthem. I truly think you should too. My reality is living with Rheumatoid Arthritis, chronic lower back pain, and Bipolar 1 Disorder. Although these diagnoses are part of who I am, they do not define me. Often our chronic Illness or mental illness makes us feel broken, isolated, and not worthy of love. Do you live in the Dark? It can be so tempting, and in a lot of ways more comfortable, to just stay within your comfort zone. For me, that is in my house with limited social interaction with anyone except my husband and 4 children. I know they accept and love me, but I don’t always feel that the outside world does. You may feel this way too. Are you ashamed of the way your illness makes you look to others? Some illnesses may actually change your physical appearance whether that may be from scarring, red flaky patches, weight gain, or a myriad of other physical indications of an illness. With mental illnesses there can be feelings of embarrassment or feeling ostrecized and totally misunderstood. I struggled with that for a while after I was diagnosed with Bipolar 1 Disorder. 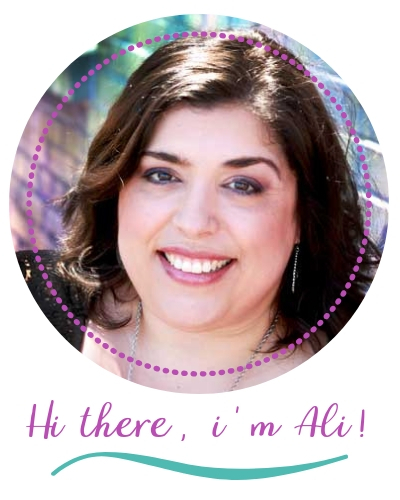 Yes I have manic and depressive episodes, but in between I am still just myself-the same old Ali. The more we can build awareness we can fight against the stigmas of mental illness. Do you feel you deserved to be loved? Our illnesses can cause struggles, limit our capabilities to function at times, and often require a support system in place to help with our daily life. It’s easy to feel like a burden to others and not worthy of being loved. Or you may feel so different and misunderstood by others that you don’t believe you could ever find someone who would accept and love you as you are. This song challenges us to change our perspective and encourages us to accept ourselves. You can’t let the others make you feel inadequate. How the world views us should not impact how we see ourselves. I know this is hard to do, so you have to practice it. Use affirmations and positive thinking to develop a mantra that we repeat to ourselves over and over. If we let the negative thoughts of self-doubt continue running on replay in our minds, then we start to believe the harsh judgements others make of us. You are meant to be the way you. You have something unique and beneficial to offer this world. Our illness uniquely shapes us to be stronger and better versions of ourselves. We have a light to shine on this world and we help to make it a better place. We have talents and gifts to offer that no one else can. How many people do you know that could endure the challenges we face every day and still keep moving on? We are warriors because we wake up each day and work past our limitations to make the best life we can for ourselves. It takes strength and courage to live our lives. It is hard for others to understand, even our loved ones. We may not always feel brave, and that is okay. Sometimes you may find yourself crying, but remember, most days you roar. So next time you are feeling weary, listen to this song, “This Is Me.” Turn it up so loud that you feel the song beating alongside your heart and watch how this song can change your perspective and build your self-esteem. P.S. WOULD YOU DO ME A FAVOR AND PIN THIS POST FOR LATER? I REALLY APPRECIATE IT!